Based in Gujarat, we are a renowned Hydraulic Jack For General Purpose Manufacturer and Supplier. Our wide range of Hydraulic Jack For General Purpose is inclusive of Hydraulic Tractor Trailer Jack, Hydraulic Tipping Jack, Extra Heavy Duty Hydraulic Floor Jack, Hydraulic Remote Controlled Jack, Hydraulic Toe Jacks and many more. Backed by the diligent team of professionals, we are engaged in rendering the best perfect collection of Hydraulic Trolley Jack. They are available with the longer warranty. - High pressure long life seals, Quick change couper with dust cap. - Mounting holes helps easy fixturing. - High strength, Heat treated alloy steel body for better life. - Bottom mounting holes for bolting. Collar threading and tilling saddle available on request. We are offering our customers an excellent quality range of Hydraulic Floor Jacks, which are made from high grade quality raw materials. These Hydraulic Floor Jacks are made from very high quality raw material which ensures high durability at its user end. 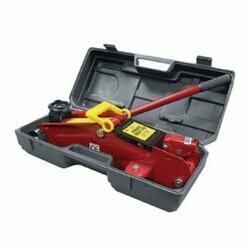 These Hydraulic Floor Jacks are in high demand in the market. Manufacturer and supplier of kanwar Hydraulic Floor Jacks. 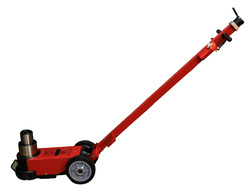 This Hydraulic Floor Jacks is having Extra Heavy Duty Capacity 2 ton to 20 Ton. Product Description: We are instrumental in trading and supplying a supreme quality range of Hydraulic Jack. - Extensively used for various industrial, Agriculture, Earthmoving & Automobile works. With sincerity and hard work of our experts, we have carved a niche for ourselves in this domain by manufacturing and supplying 3 Ton Vehicle small Floor Jack.